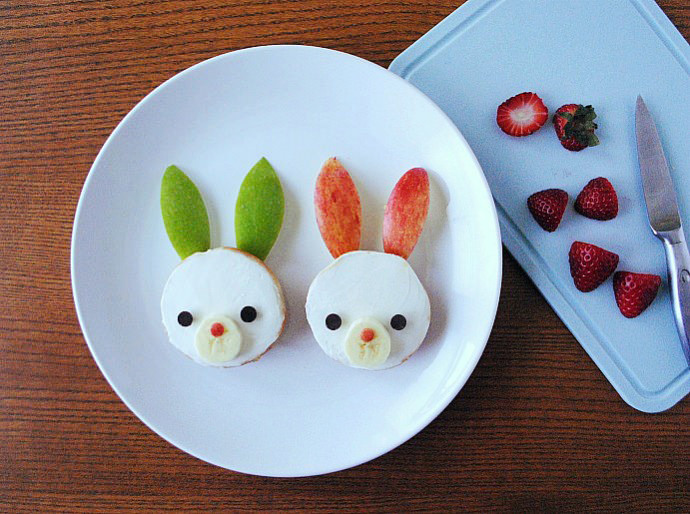 Bunnies are my little one’s favorite animal, so you can imagine how excited she gets when all the cute Easter stuff starts trickling into stores. (Okay, I admit, I get just as giddy as she does!). This mini bagel breakfast is perfect for small appetites. 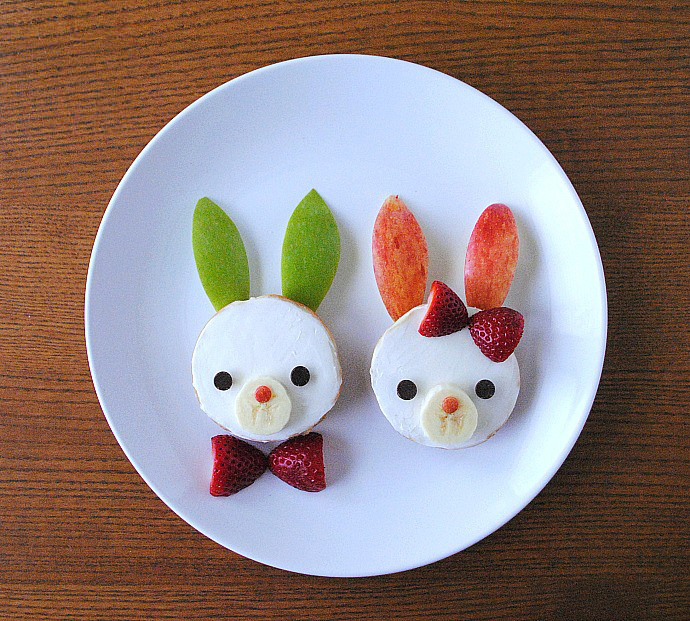 You can choose to make either member of this cute critter couple – or both! 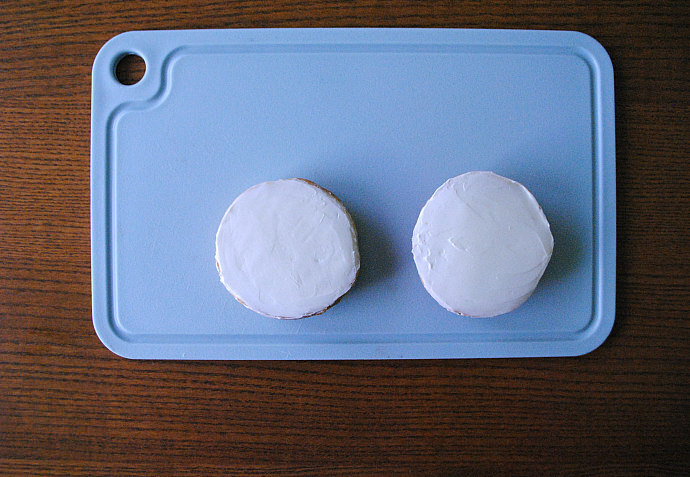 Slice and spread your bagels with cream cheese. 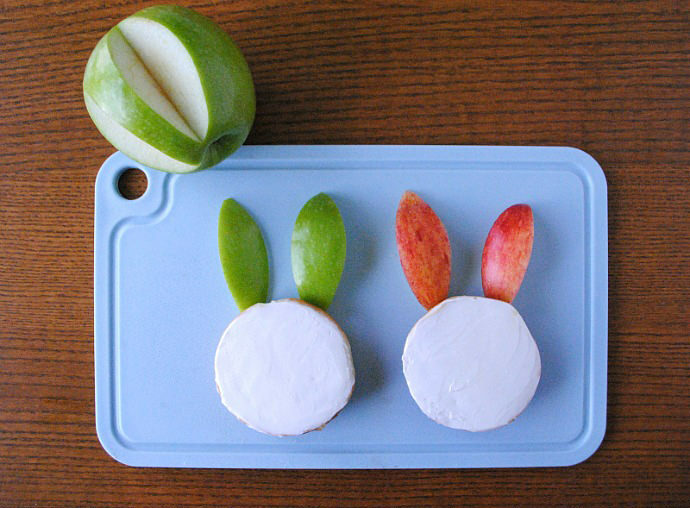 Cut two wedges from each apple to make bunny ears, then balance them under the bagels. 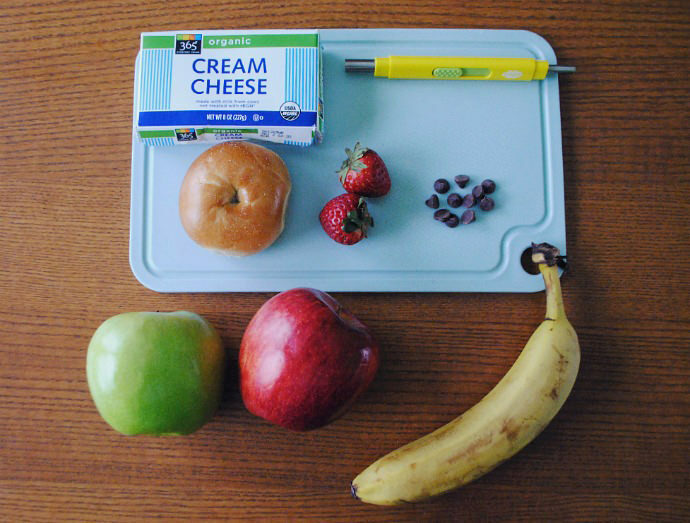 Cut two slices of banana and place them toward the bottom. 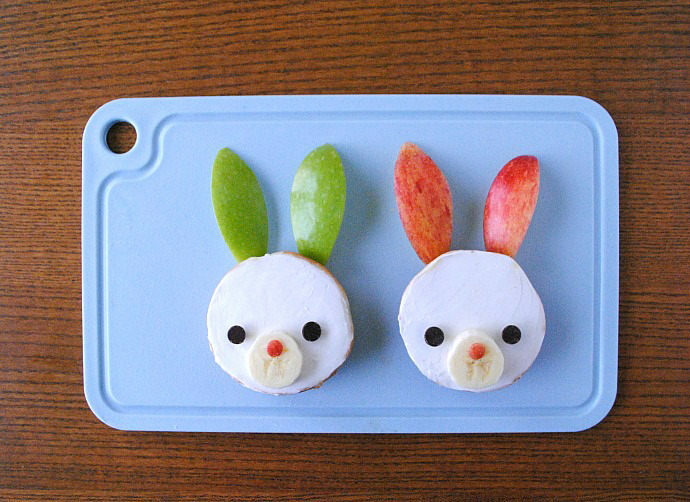 Use a fondant mini circle cutter to cut a nose from a piece of red apple skin. If you don’t have a cutter, you can easily freehand a triangle nose, use a strawberry tip, or throw on an extra chocolate chip. Place two chocolate chips on each bagel for eyes, wedging the pointy tip into the cream cheese. Cut off the tops of two strawberries, then slice each in half. 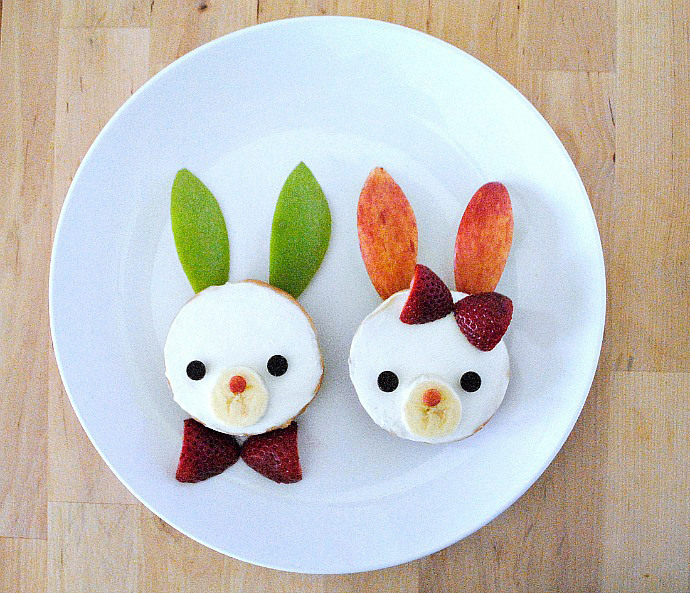 Place two strawberry halves under one bagel to make a bowtie, and the other two halves on top of the other to make a hair bow. 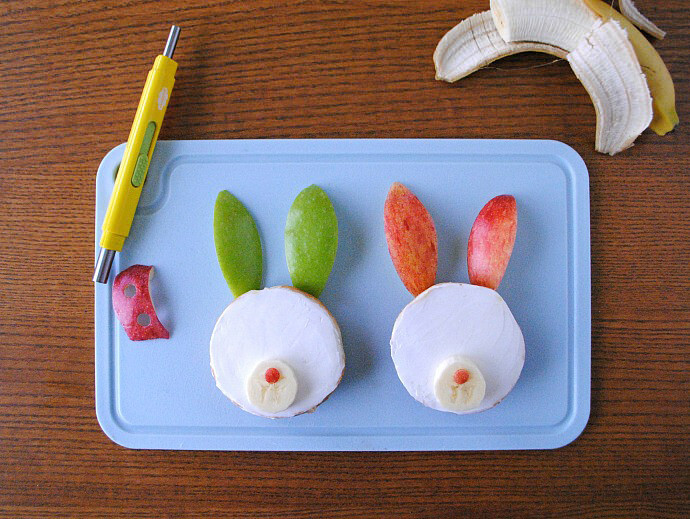 These are such an adorable craft! I agree! Adorable! We’re so incredibly excited to have Selena contributing. Thanks for stopping in!